I am working on getting confirmation from Google but I have never seen the forums light up as much as they are now. Update & Confirmed: Google Sunday afternoon has confirmed they have done a Penguin update. I am trying to get more details at this moment. Early reports came from webmasters and SEOs in various online forums and social media. The SEO industry chatter is at an all time high and it all leads to Penguin 3.0 being released. The Google Penguin algorithm, which has not been updated in over a year, since Penguin 2.1 - seems to now be rolling out. Google has not yet responded to my request to confirm the rollout but it seems like it has rolled out. We have several forums buzzing now on it including WebmasterWorld, Google Webmaster Help, DigitalPoint Forums, Threadwatch and BlackHat World. Twitter, Facebook, Google+ and other social networks are on fire now with Penguin chatter. The first report I saw came from BlackHat World late Friday night. That thread is now about 250 threads deep and a lot of those SEOs there are claiming they were hit. But there are also a lot of people reporting major increases in rankings. It is unclear if this is a refresh to the Penguin algorithm or a revised algorithm update. Again, I am waiting to get more details from Google on this. But it seems like 90%+ of SEOs are in agreement that Google refreshed Penguin over the weekend. Will they reverse it? Was it a test? Will it stick? That is the big question. 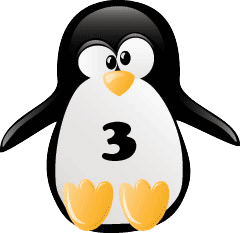 Update #2: On Monday at around 10:55am EDT, Google's John Mueller told us Penguin 3.0 is completely rolled out as far as he knows. Update #3: Pierre Far from Google corrected John and said it's rolling out for the next few weeks, told us it was only a refresh, worldwide impact, affected less than 1% of English search queries. WebmasterWorld, Google Webmaster Help, DigitalPoint Forums, Threadwatch and BlackHat World.